I was browsing my Facebook pages when I chance upon a shared story from a friend of mine and a fellow Dealer Account Officer during my LG Electronics Philippines stint in the late nineties. In his wall, he shared a photo about his encounter with a taxi driver who sells embutido and peanut butter fortified with malunggay. I found this shared photo with a caption “my cool cab driver Alfred Rivera, from the other day, sells embutido and peanut butter fortified with malunggay for additional income ‪#‎hindinangongontrata ‪#‎astig” very inspiring. Mr. Rivera’s initiative reminded me of what my mom used to impart during her social preparation seminars that the reason Filipinos are poor is because they chose to become one. According to her, there are lots of opportunities to deal with but many poor Filipinos choose to ignore these opportunities and rely on fate, religion, and the kindness of relatives and other people to live accordingly. His entrepreneurial spirit is a good idea to replicate so that taxi drivers will have additional income. However, this idea will give more reasons for crime to be committed against taxi drivers because they carry more money and merchandise at the same time. 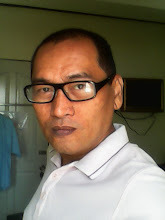 Nonetheless, it is worth studying and figure out how to improve Mr. Alfred Rivera’s entrepreneurial idea and cascade it to other drivers. Indeed, entrepreneurship is one of the best solutions to provide more earnings for the family and at the same time to keep the Philippine economy sustainable. Way to go Mr. Alfred Rivera! 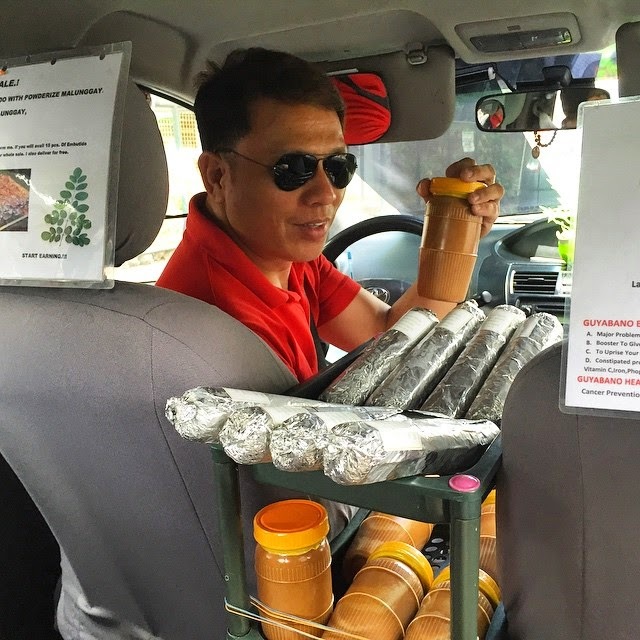 We have the chance to ride on his taxi in Marikina City and tried his famous peanut butter with malunggay. Anyone who has his contact number as we so much loved the peanut butter and also want to try his other products, thanks.